Setting up an Individual Retirement Account (IRA) is a great way to start investing and earmarking funds for when your working life is over. However, there are additional steps you can take to add to your retirement reserves. The experts at Bankrate.com say that opening a health savings account (HSA) can be one of them. This kind of account is designed to help qualifying consumers pay off medical costs not covered by their high-deductible health insurance plan, but it also allows account holders to carry over money put into the account as a tax deduction. Since the savings are an above-the-line tax deduction, consumers do not have to itemize them, and the money is subtracted from their earnings before calculating for an adjusted gross income (AGI). 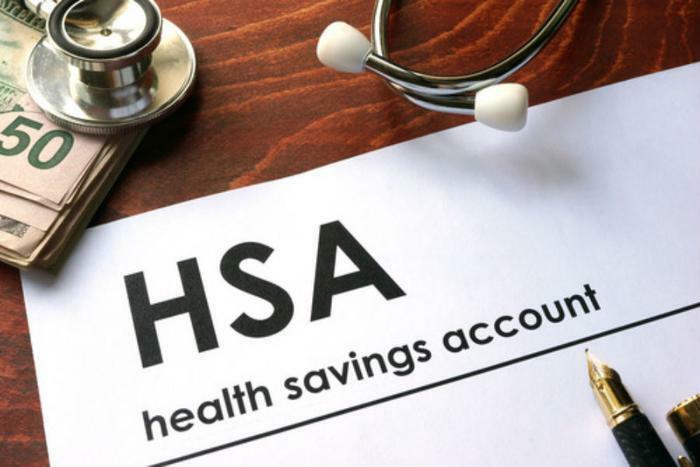 There are no phase-outs involved with an HSA, so no matter how much money you put into the account, you can still deduct a sizable amount – the limit was $3,400 for individuals and $6,750 for families in 2017. The folks at Bankrate.com say there are four ways you can manage your HSAs and IRAs to maximize the benefits and stretch your retirement savings. Account holders are allowed once in their lifetime to roll money from their IRA into their HSA. The amount is capped by what the IRS says is the maximum allowable contribution for any given year. This can be extremely helpful to consumers who have an unexpected health emergency and end up exhausting the amount they had in their HSA. There are no penalties for rolling money over from an IRA into an HSA, as long as that money is eventually used on healthcare and no money has been contributed during the current year. The best part? You won’t have to pay any taxes on the money you roll over, so basically the process allows you to withdraw money from your IRA, even if you are younger than 55. The IRS requires consumers to start taking out required minimum distributions (RMDs) from a traditional IRA when they reach age 70 ½. However, these requirements don’t extend to HSAs, so any money in this kind of account is allowed to grow tax-free until it’s needed. Additionally, if you die you can designate your surviving spouse as the beneficiary of your HSA, so the money can continue to grow and there are still no RMDs. Beware though – if you do not have a spouse or designate someone else as your beneficiary, then the money in your HSA will become taxable for that person upon your death. When it comes to withdrawing money on qualified medical expenses, HSA account holders have a lot of flexibility. As long as you save your medical receipts, you can claim the money from your account whenever it’s needed – even if it’s years later. In the meantime, the money can stay in your account and continue to grow. As long as you meet those standards, you’re golden. The IRS and the Centers for Medicare and Medicaid Services have decreed that any person who has signed up for Medicare cannot continue to save in an HSA because Medicare is not a high-deductible plan. However, there are ways that consumers can make their HSA work with Medicare. If a consumer already has an HSA when they turn 65, they can use the money in their account to pay deductibles, premiums, and copays for Medicare parts A, B, C, and D. Out-of-pocket expenses like dental and vision can also be paid for in this way, but Medigap plan premiums cannot. This is a huge advantage over a traditional IRA since any money put into an HSA can be put into the account tax-free, grow tax-free, and taken out tax-free as long as it pays for healthcare costs. Editor’s note: As always, consumers are urged to discuss any potential financial decisions with a trusted financial advisor before implementing them.